Golfers like you golf courses like this. Golf is a game of man versus himself where he is handicapped by his own physical and mental limitations. Of course the golf course can impact both the challenge and the handicap. 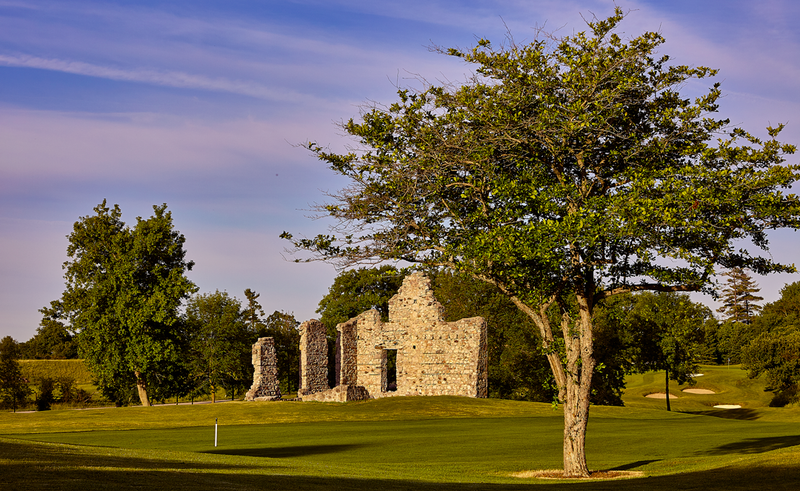 The signature hole at Savannah Golf Links features the remains of the old farm house. Savannah Golf Links is a public course that offers something for golfers of all handicap levels. 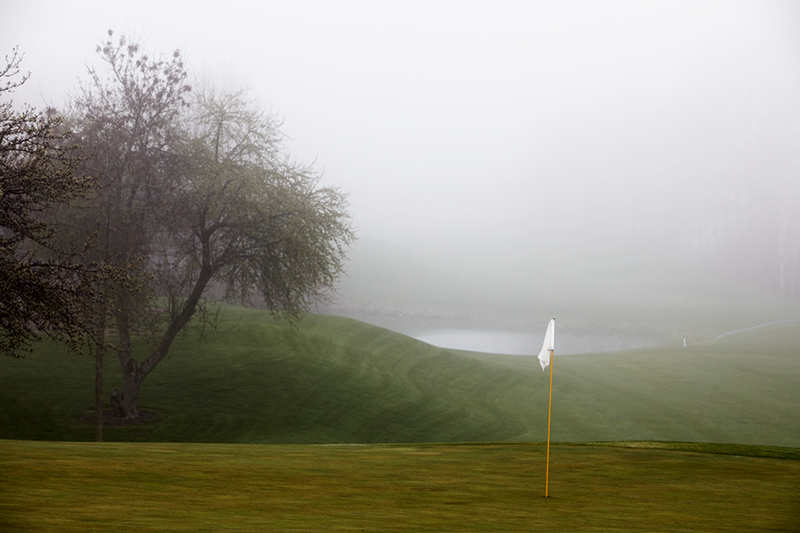 Unlike so many golf courses today, where the land was altered to get the golf course in and then re-landscaped for the course, Savannah Golf Links in Cambridge Ontario has been designed around the natural landscape that was already present. Rolling hills, challenging greens and an abundance of water hazards will have even a low handicapper using course management to plot their way around these links. Playing the front tee blocks will shorten the course, but it also takes the water out of play on your drive on holes eight, sixteen and eighteen. You’re still going to need to plan your shots to avoid pesky lies where you are above or below your ball. Move to the back tee blocks and this 6,213 yard round will have you using nearly every club in your bag and every shot in your repertoire. With two more tee blocks situated between the red and gold, Savannah Golf Links is ideal for golf enthusiasts regardless of their handicap.